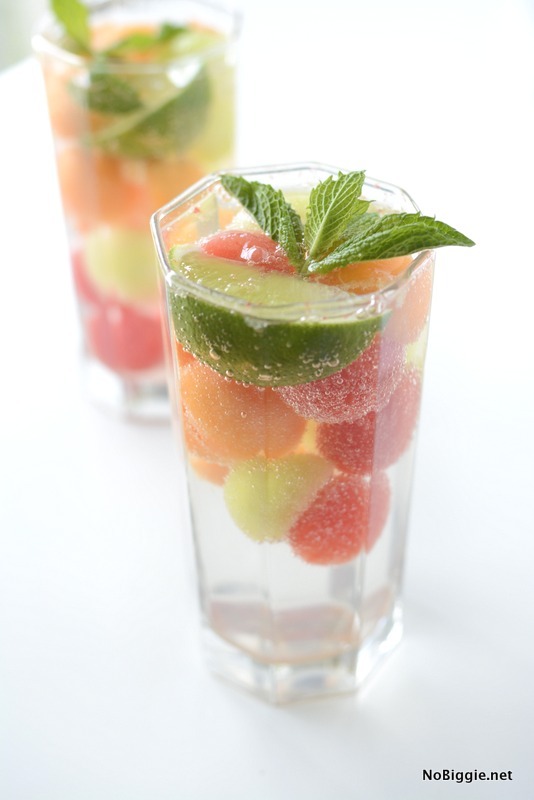 Make ice cubes out of colorful melon fruit balls. Sometimes the best ideas are the most simple. 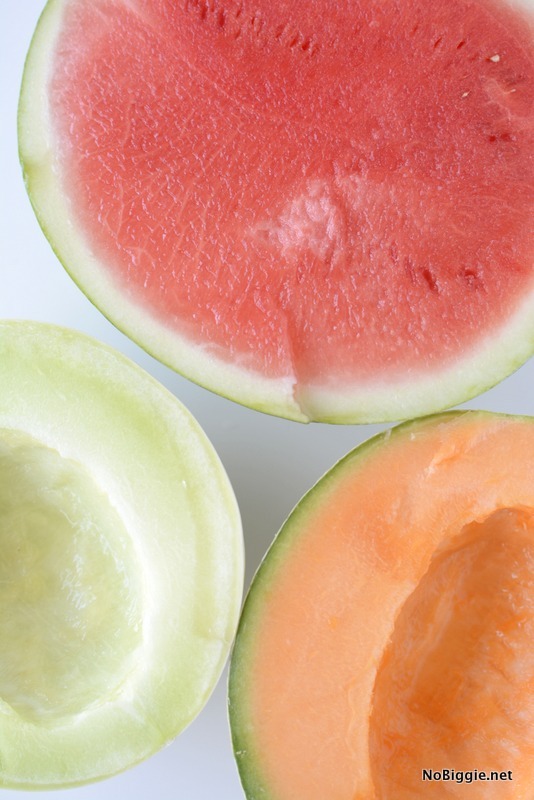 We’re celebrating Summer with the colors of Summer…watermelon, cantaloupe and honeydew! 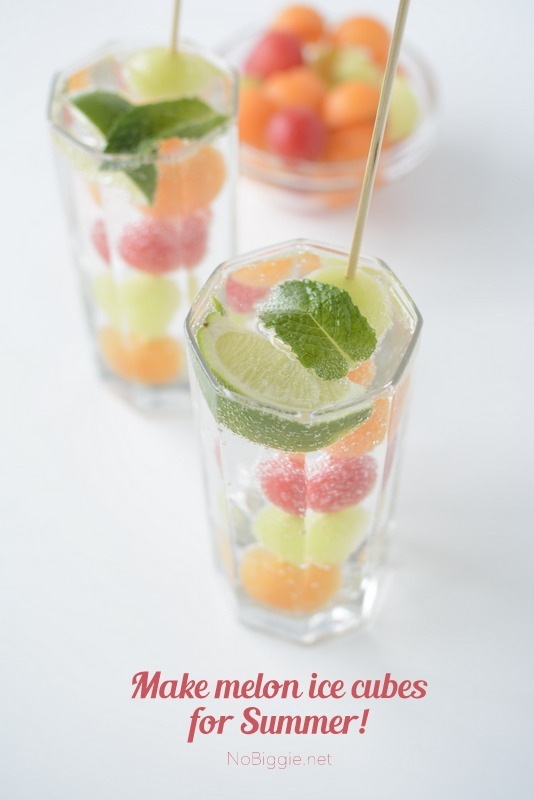 Whether you’re hosting a fancy dinner party or just looking for a healthy summer treat, grab your melon baller, and make melon ice cubes…or melon cubes as we like to call them. They’re a tasty way to savor Summer. Don’t those colors just make you happy?! Which one is your favorite? 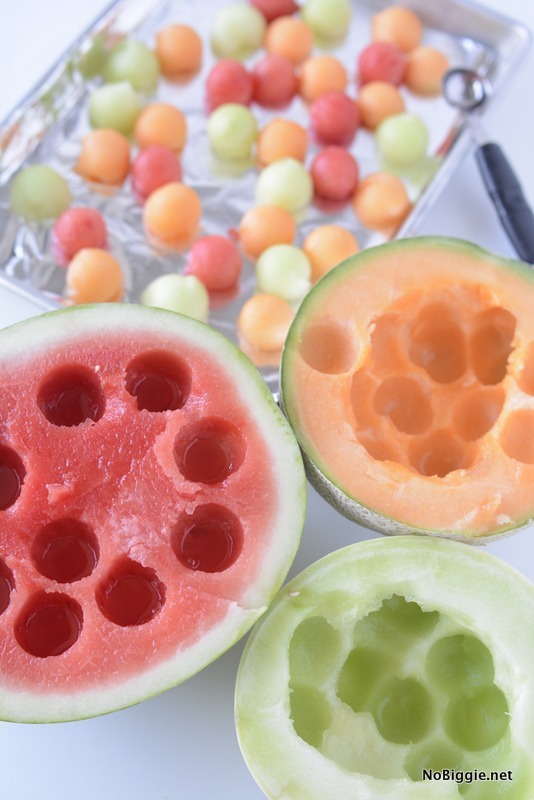 Did you know that something about freezing melons actually makes them more sweet. You’ll have to try it! Ever since I made the frozen watermelon popsicles, we’ve loved having frozen melon in the freezer as a healthy snack. 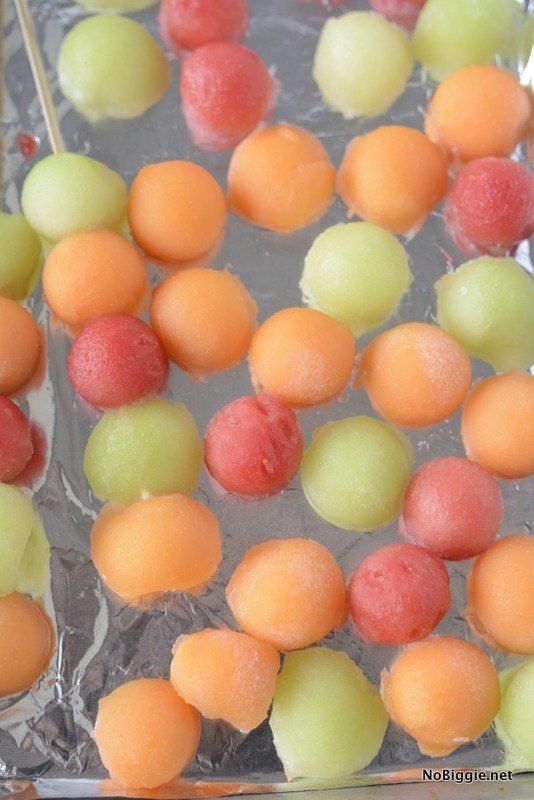 Once you’ve made a bunch of melon balls, you can freeze them for 4 hours or up to overnight on a foil lined pan. If you’d like you can skewer the melon balls onto a wooden skewer before freezing them to make a stir stick for your drink. Or you can just eat them as they are or drop them into your drink as ice cubes and let them flavor your beverage.